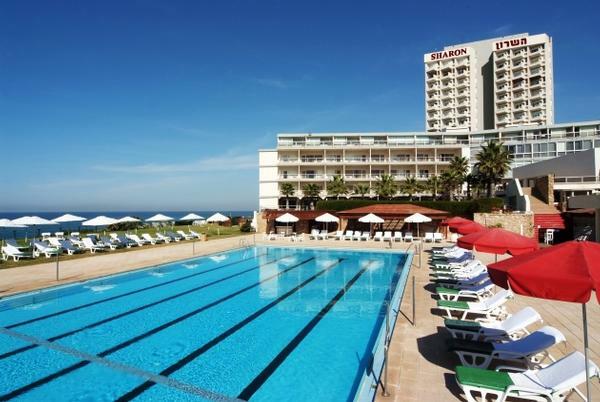 The Sharon hotel in Herzliya is a great combination of a resort, business and spa hotel due to its large areas, ideally located on the beachfront in the middle of the business and pleasure center of Herzliya Pituach. There is a direct access from the hotel’s garden to the beach with restaurants, bars and a sailing club. The hotel offers spacious rooms, a pampering spa, a large seawater outdoor swimming pool that overlooks the Mediterranean Sea. The hotel offers 174 spacious & comfortable rooms. There are a variety of rooms to choose from, rooms overlooking the sea, rooms with balconies and rooms with direct access to the hotel’s garden. Jacuzzis are also made available in some of the rooms. All rooms are equipped with LCD satellite TV, safes, coffee/tea kit and a fridge. The pampering Sarana spa located in the hotel features a modern well equipped gym, hot and dry steam saunas and freshwater indoor swimming pool, as well as various spa treatments and massages. The hotel offers advanced business facilities, free WIFI access throughout the hotel, business lounge, high tech meeting rooms and conference halls. 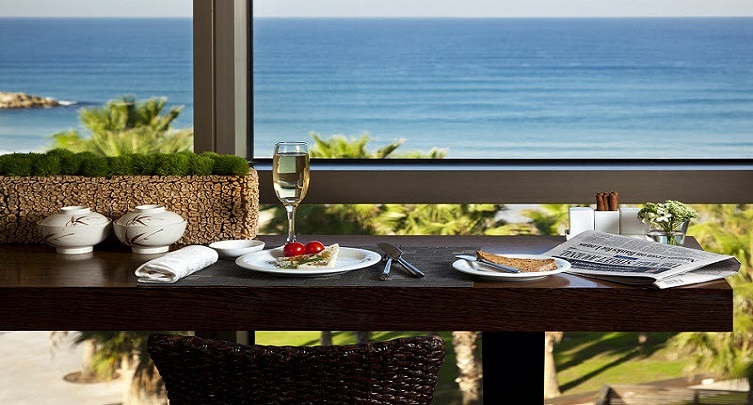 The hotel’s restaurant offers a variety of Israeli and international dishes together with light snack at our Aquarelle lobby bar overlooking the hotel’s garden and the Mediterranean sea. Tel Aviv is only a 15 minutes drive. 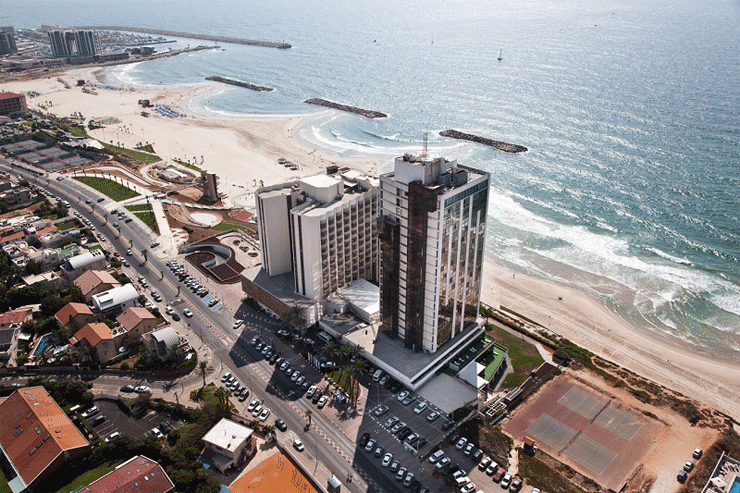 Herzliya Train Station is 2.5 miles away. And Ben-Gurion international airport can be reached within 30 minutes drive. 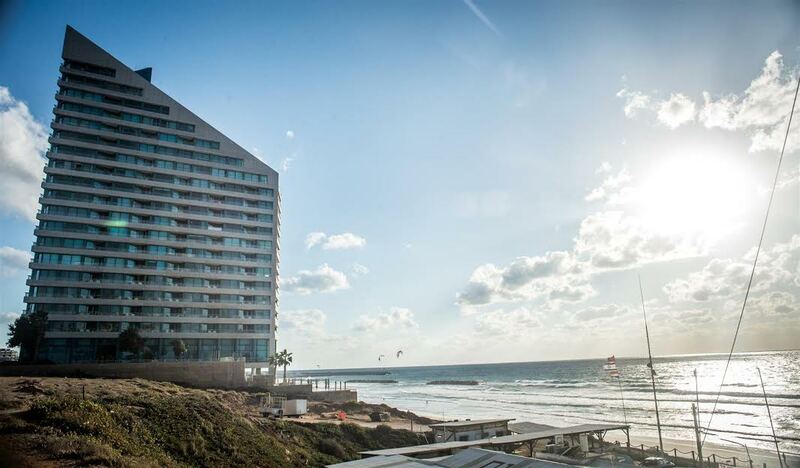 The Shizen & Spa Resort, located on the scenic Herzliya Pituach beachfront, is a fusion of refined luxury, tranquility and intimacy - all captured in the unique spirit of the Far East. At the heart of Shizen is a unique concept, the first of its kind in Israel, which aims solely to impart a sense of comfort and serenity. The focus is on the smallest details, those that transform a stay at the spa resort into an intimate and unforgettable experience. Shizen & Spa Resort Herzliya offers 40 elegant, spacious rooms, designed in the Japanese style with authentic furniture, for a truly enchanting stay. You can begin each day basking in the magnificent view of the sea from your bed. For complete relaxation, you are invited to an extraordinary spa experience in one of The Shizen Spa's 16 treatment rooms. The Spa offers a wide variety of massages and treatments, both new and traditional from the far East. Shizen Spa also offers an indoor pool, wet and dry saunas, a pampering Jacuzzi, gym, and a variety of classes, including aerobics, yoga and Pilates as well as lectures. Guests also enjoy an outdoor pool and direct access to the beach during the warm season. 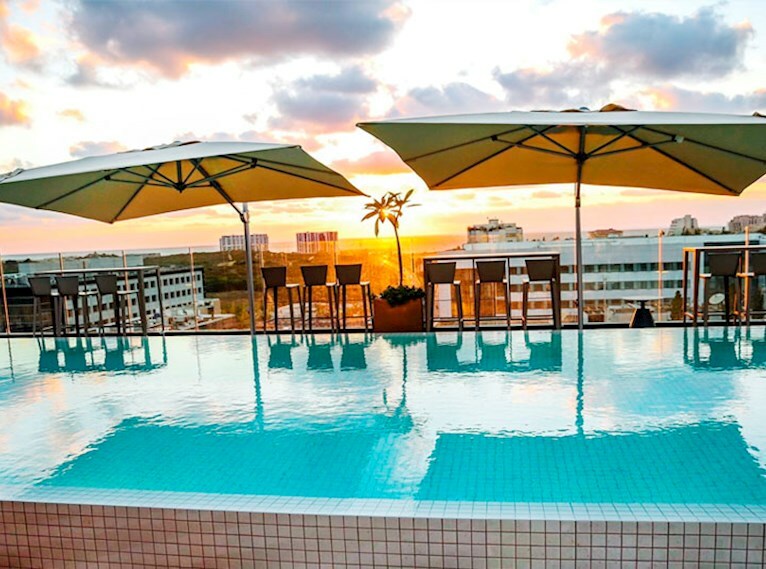 The hotel is for adult only,and is a part of the Daniel Herzliya hotel.The Spa and the Shizen hotel are for adults only but the outdoor pool and the restaurants are at the disposition of both hotel's guests. 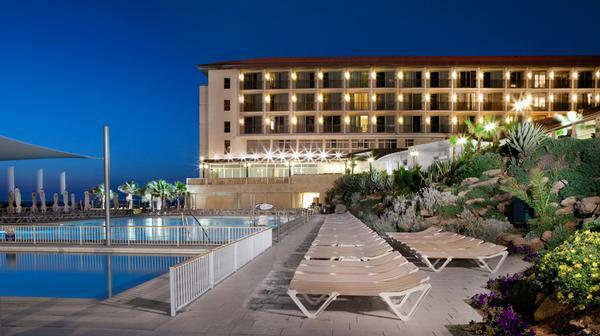 The Orchid Okeanos Boutique Hotel is located on the Mediterranean seafront, adjacent to the scenic beaches of Herzeliya. Perfect for a relaxing stay with panoramic ocean views. It is ideally situated, a mere ten-minute car drive to the Herzeliya Pituach business district. 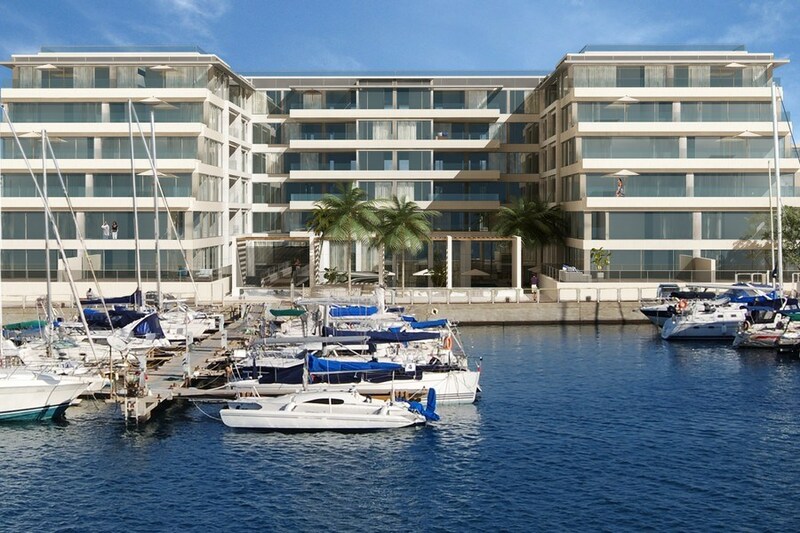 This prominent location ensures our guests the convenient proximity to Herzeliya’s trendy Marina; one of Israel’s most glamorous destinations. Where you will be able to enjoy its bars, restaurants, shopping, and celebrated galleries. Our welcoming staff is always dedicated to tending to your every need and provide accommodations to help you navigate one of Israel’s major cultural centers as effortlessly as possible.